MOTIVATED SELLER -$50K PRICE DROP. 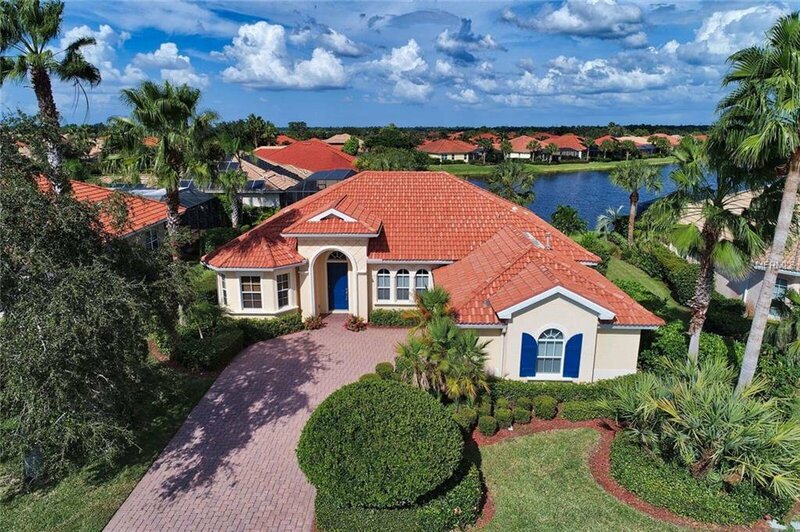 You will LOVE this delightful, upgraded Correggio model home with pool/infinity spa and breathtaking water views in the renown Venetian Golf & River Club. Enjoy the company of family and friends in the evening in the lanai, to the subtle sounds of the pool waterfall in the background! Sleep to the harmony of Florida’s glorious nature, then wake up to a spectacular sunrise over the lake! This 3-bedroom, 2-bathroom home with den/study and 2-car garage, features an open floor plan, tile and bamboo flooring, and a gourmet kitchen with dinette, granite counters, and under cabinet lighting, giving you 2,216 sq. feet of spacious elegance. The living/Great room, Master bedroom, and dining room feature tray ceilings. The Master bathroom has a “Jacuzzi” spa tub, walk in shower, and marble counters with dual sinks. Many more bonuses in this home! The Venetian Golf & River Club offers an upscale lifestyle: 18-hole golf course that winds throughout the Community, first class dining with amazing views, social activities, walking trails along the Myakka River, fitness center, resort style pool, tennis courts, and pro shop. Venice, Nokomis, Gulf beaches and shopping areas are just 15 minutes away. Listing courtesy of KELLER WILLIAMS REALTY SELECT. Selling Office: MEDWAY REALTY.